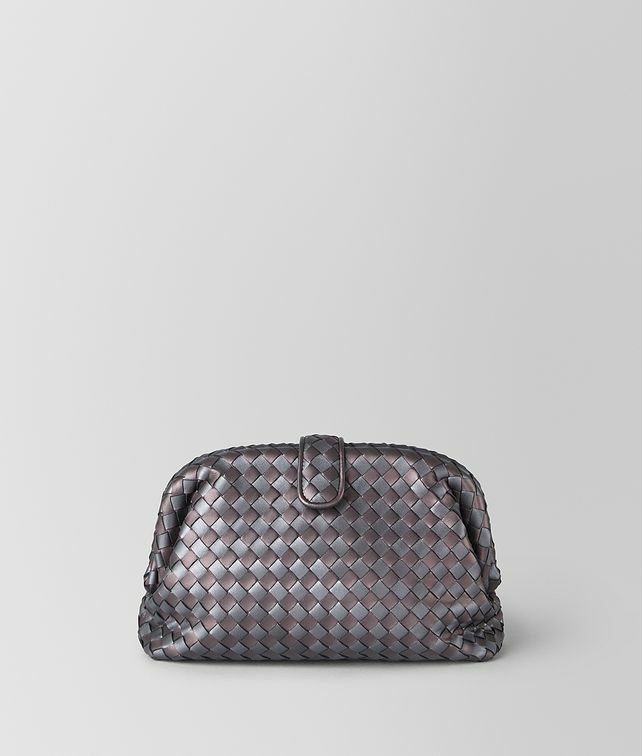 Originally designed for Lauren Hutton to carry in the 1980 film American Gigolo and re-issued for Bottega Veneta’s 50th anniversary, the Lauren 1980 has truly timeless appeal. This metallic version is made with a subtle bi-colour design that is an elegant take on our Intrecciato Chequer workmanship. The top of the seamless clutch is fastened with a magnetic button flap and inside it is fitted with a zipped pocket.